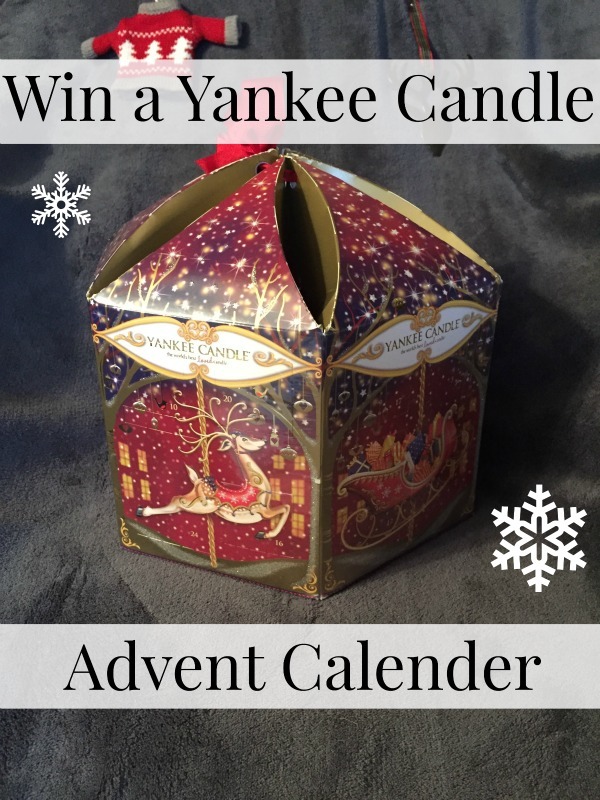 Win a Yankee Candle Advent Calendar! So, it’s November. We have celebrated or gritted our teeth through Halloween and Bonfire night. Is it too early to mention Christmas?! I hope not because today I am loud and proud with the Christmas spirit! I have to really. Advent starts in 23 days and I have a corker of a gift for one of my readers. 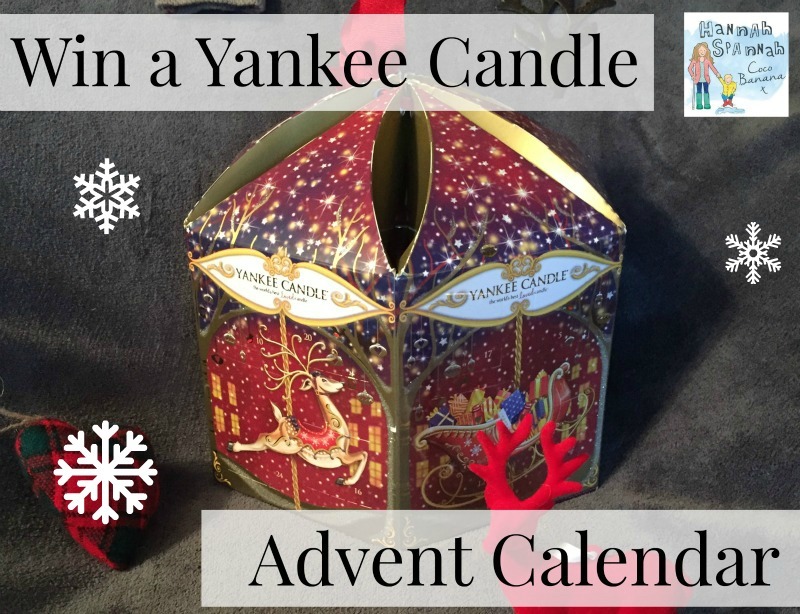 One of you will win a Yankee Candle Advent Calendar. Over the last few years, what I would call gift advent calendars have grown in popularity. Why have a simple cardboard calendar with a Christmas scene behind each window, when you can have chocolate? Why have chocolate when you can have pretty much anything you want in an advent calendar?! Cosmetics, alcohol, toys, you name it. 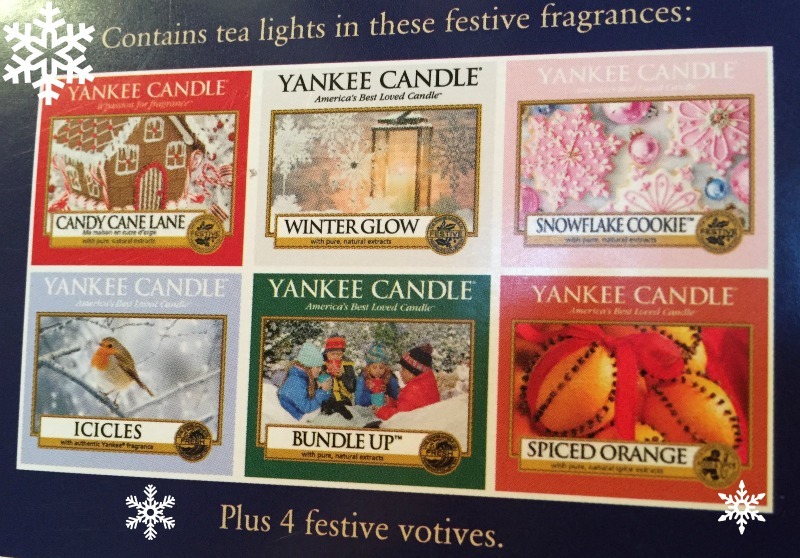 One of the most popular calendars is a Yankee Candle calendar. Each day, when you open a door, you will find a festive tea light or one of 4 votive’s. I love the idea that every night when you’re all sorted, the kids are in bed, glass of mulled wine in hand, blankets and a movie, you can enjoy a new fragrance. Or, when you’re stuck working at your desk until the wee hours, hopefully a new candle a day and a gorgeous smell, will help you stay in the Christmas Spirit! The fragrances included in the Carousel include: Candy Cane Lane, Winter Glow, Snowflake Cookie, Icicles, Bundle Up and Spiced Orange. Each Tea light burns for approximately 4-6 hrs and each votive, up to 15hrs. To enter the competition, please click on the link below. No one has actually sent me the calendar to give away, I decided to buy it and give it away to say thank you for supporting me over the last year. If you wanted to subscribe to my blog in the side bar and follow me on the following social media, I’d be really chuffed. None of this is neccessary to enter the competition and the winner will be drawn at random by the Rafflecopter program. There is ONE mandatory entry, leaving a comment. Other entries are optional but increase your chance of winning. The prize is a Yankee Candle Carousel Advent Calendar. The delivery address for your chosen items bought with the voucher must be UK based. No cash alternative is offered. 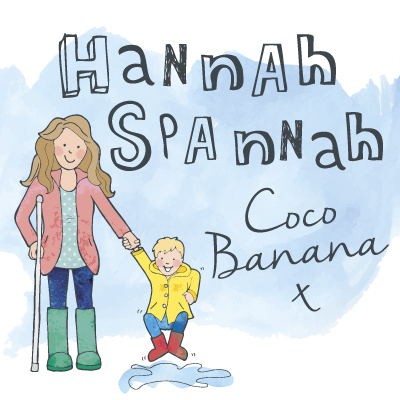 Prize is supplied by Hannah Spannah Coco Banana.The winner has 21 days to respond to their notification, after this time another winner will be drawn. Competition ends on 22/11/2015 at midnight. What a lovely competition! My current favourite is Winter Glow; but it changes all the time! Snow in love is my favourite Christmas scent! I love salted caramel because it’s so sweet! I love Winter Glow as it reminds me of sitting by an open fire! My favourite is … I don’t know. It’s a white one, my friend had a massive one at her house the year I spent Christmas with her and I’ve been hunting it down ever since! The Sweet Apple, it has a really nice scent without smelling to artificial. Mine is one they don’t make anymore, it was just called sage and my niece gave it to my as part of a Christmas gift set a few years ago – as soon as i opened it I was taken back to a scent that I remembered as a child, not sure I would have described it as sage but it was so evocative, been trying to recapture it ever since! Lavender as it helps me sleep. My favourite is Bunny Cake! It reminds me of Birthdays and celebrating! I like their Lavender candles, I find the smell of lavender really relaxing. I love Vanilla Cupcake as it’s such a yummy scent that isn’t too overpowering! I like Christmas Cookie especially at this time of the year. I love winter glow. I think it’s such a nice light, festive fragrance that isn’t too overpowering! Christmas Cookie because it is always amazing and even more so at this time of year. What a sweet idea!! I have to say I do wonder about some of the more modern advent calendars, they all seem so BIG, you know? But I do love the idea of a candle a day, such sweet candlelight for cosy winter nights! I love so many Yankee candle scents, but one of my favourite has to be the baby talc one! As for winter scents, I’m guessing spiced orange would be perfect!! I love fruity scents so Mango Peach Salsa is my favourite. I love the smell of Spiced Orange and it seems Christmassy. Lemon Lavender – It just smells so good! vanilla – just my favourite smell; reminds me of ice cream as a child! baby powder – I love it!!! I love Christmas cookie, because it reminds me of freshly baked cookies. I would love to try snowflake cookie, it sounds so yummy!! Snowflake Cookie! I love it. It instantly makes me feel Christmassy and reminds me of Christmas at my mums whilst she was baking Cookies. I love the vanilla cupcake one, smells delicious! I love Winter Glow, I have one burning as I type this. Thanks for a lovely competition and a great blog. Red Velvet, reminds me of toasting Marshmallows!!! Christmas Cookie, smells homely and so welcoming. Not very Christmassy I know but my absolute favourite is Midsummers Night, it has a tang of the ocean about it and makes me think of walking along the beach on a balmy summer’s night. I love clean cotton. Makes me think of clean houses and fresh sheets. Cinnamon – always reminds that Christmas is on the way! Spiced orange as it is very christmassey. I love the 3spiced orange one, reminds me of the flavours in mulled wine and Chrsitingle service at church. I love all of the Christmas scents, I think it just really boosts the Christmas spirit. Baby powder because it reminds me of when my little girl was a baby. Apple Crumble because it reminds me of my mothers cooking! I love White Christmas scent – snowy pine forest and christmas combined – lovely! My favourite Yankee Candle fragrance is Baby Powder because it smells so clean, fresh and fabulous! I love Christmas Eve because it really does smell like it sounds and reminds me of the excitement I felt every year on Christmas Eve when I was a child! Clean Cotton – it was the first one I ever owned (a present from a friend in America). Fell in love with the brand and have become a bit of an addict since! As many others I love cinnamon stick, cinnamon is my favourite scent always makes me feel warm and cosy. I do crave danishes though ! Cinnamon Stick, love this smell at Christmas time!! Pink Honeysuckle is my favourite. I haven’t tried any christmas ones! Vanilla Lime, not sure why, I Just love it. baby powder or black cherry i love!!! Clean cotton. Nothing beats the smell of fresh linen. CLEAN COTTON OR BABY POWDER – BOTH EVOCATIVE OF A CLEAN HOMELY HOME. Cranberry twist, such an amazing earthy fruit scent !! Cherries on snow. Smells great, the perfect tones. Clean Cotton is my favourite. It’s such a fresh, clean, homely scent. Snow in love – It puts me in the mood for Christmas! So many lovely choices but how can you not go with Snow In Love! At the moment its vanilla bourbon but it changes every few weeks! I love all of them but recently the frosted vanilla is really grabbing me. Cinnamon reminds me of Christmas! ! Spiced Orange s just love the smell. Black cherry – it’s just so fresh and fruity and reminds me of lazy summer nights, regardless of the time of year it really is! Baby powder because it smells so clean and fresh! This is a fab competition, been eyeing these up in the shops for weeks! Thanks for the chance! Spiced Orange! It’s just the perfect christmas scent! Salted Caramel. It makes my house smell delicious… like homemade fudge. I love the christmas rose candle , it has a beautiful flowery scent and a christmas edge to it as well. My current favourite is Vanilla Frosting! We have a little melt burning just now it is delicious, it smells like cotton, i think it is called winter snow? it is lush!